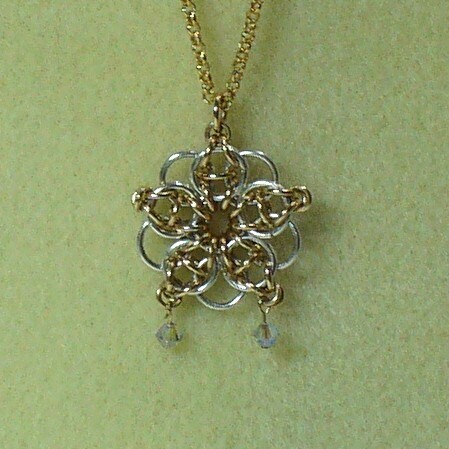 The Snowflake Pendant is a variation of the Celtic Visions weave. It is striking when hanging around your neck. I offer it in a two tone version as this is the most striking. The necklace chain and crystals are not included in the kit. There are matching earrings in a smaller size in the earring section of the website. This is an intermediate weave.